We have always had a passion for the computer control of model railways. 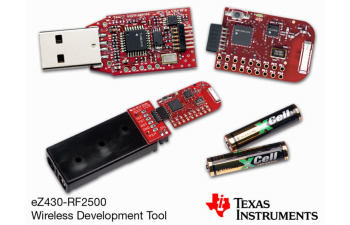 In 2007 ago we purchased a wireless development kit for the MSP430 - the EZ430-RF2500. 1/ Writing the PC software to transmit and receive messages via the PC dongle. 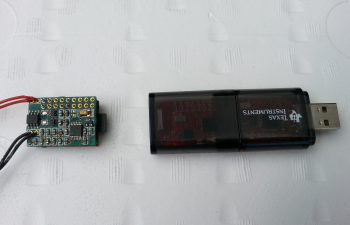 2/ Writing the embedded code for the MSP430 microprocessor on the dongle. 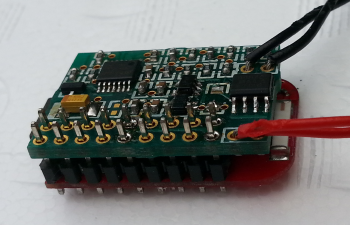 3/ Writing the embedded code for the MSP430 microprocessor on the target board. 4/ Design some electronics to interface between the microprocessor and the DC motor of the locomotive and pick up the power from the track. The dongle appeared as a COM port to the PC and it was therefore quite easy to send and receive messages using the C# language. 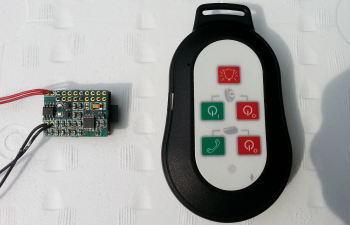 Examples of embedded code for the MSP430 were supplied with the development kit and these were adapted to suit the application. A PCB was designed for the electronics, designed to mate with the target board to produce as small a package as possible. This was all put together and we successfully adjusted the speed of the motor with a slider on the PC screen. Then the project was put on hold. In 2014 the project was resurrected. The company we worked for had a device that was essentially a Bluetooth-to-RF converter. We had a Windows application and a Windows CE application which both communicated via this device to control and monitor other products the company produced. Windows sent and received bluetooth messages to the device which converted them to 433/868 MHz messages which the other products interpreted. Windows was not designed for bluetooth and it was decided to write an Android App to send and receive these bluetooth messages. Bluetooth being much better integrated into Android. that just happened to be pin-compatible with the CC2500 chip we had used in the original project above. We replaced the CC1101 and a few other components with the CC2500 and, with a bit of tuning, were able to communicate with the original target board in the locomotive with an Android App. 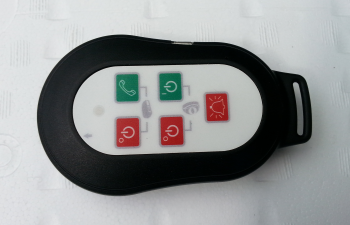 We were then introduced to BLE, or Bluetooth Smart, at a manufacturer's seminar. This was to be simpler, cheaper, and smaller than "Normal" bluetooth and ideally suited to our model railway project. 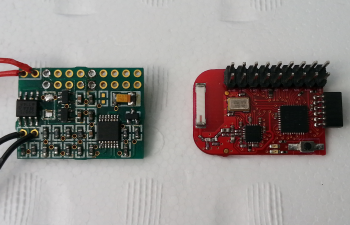 A development kit was hastily obtained and the MSP430 target board replaced with a bluetooth receiver board. Then the hard work really started. smartphone and tablet. We uploaded the video to YouTube in early February 2015.
and just select which one you want to control. So, having proved the concepts, we proceeded to the development of the Model 601 "Three-In-One" controller.